WARWICK, R.I. (WLNE) --“We can empower our communities to transfer authority from a billionaire CEO and shareholders thousands of miles away to locally owned, not for profit institutions that are directly accountable to the communities that they serve," says State Representative Aaron Regunberg. Providence - Rep. Aaron Regunberg called on the state legislature to rescind the DMV’s authority to charge a $250 fee on late car inspections, as the Department proposed to begin collecting on January 1. EcoRI: 2018 R.I. Primary: Candidate Profiles for Lt. Gov. The climate crisis threatens every aspect of our lives. It’s impacting our coasts and all the parts of our economy tied to the bay. It is increasing dangerous storms and flooding throughout our state. EAST PROVIDENCE, R.I. (WPRI) - This week on Newsmakers - a debate between the Democratic candidates for Rhode Island lieutenant governor: Dan McKee and Aaron Regunberg. Moderated by Tim White and Ted Nesi. “Apparently this was a pledge he had no intention of following through on. This deception is an insult to all Rhode Islanders, and it’s particularly offensive to all the families whose lives have been touched by the opioid crisis,” said Regunberg. Some on the right promote a narrative of a “war” within the Democratic Party. But that war only exists if people look at the insiders and politicians in the State House. If there is a conflict, it’s about regular people fighting for the issues that matter against corporate lobbyists and special interests and the politicians they buy. And that’s a battle that we can’t afford to have statewide leaders sit on the sidelines for. 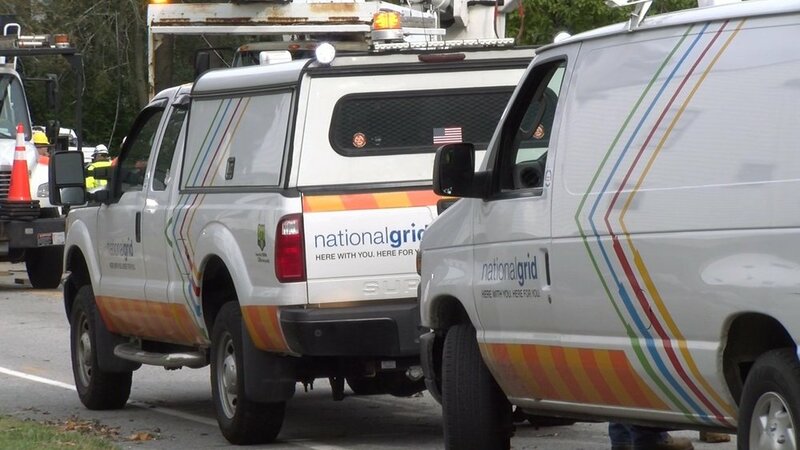 According to data from the R.I. Division of Public Utilities and Carriers, competitive suppliers cost residential customers in Rhode Island about $28 million more than National Grid's standard offer rate over the past five years. In Massachusets, the Attorney General is seeking to ban these companies, in Rhode Island, Lt. Governor Dan McKee has used public resources to promote them. “It is absolutely shameful that the establishment machine is lining up behind conservative, unethical and anti-woman candidates to run against real Democrats in races across Rhode Island,” state Rep. Aaron Regunberg, a Democratic candidate for lieutenant governor, said in a statement Monday. The state representative’s call followed Wednesday’s retirement announcement by U.S. Supreme Court Justice Anthony Kennedy, and members of R.I.’s congressional delegation weighed in on the ramifications — and timing — of filling Kennedy’s seat on the bench.